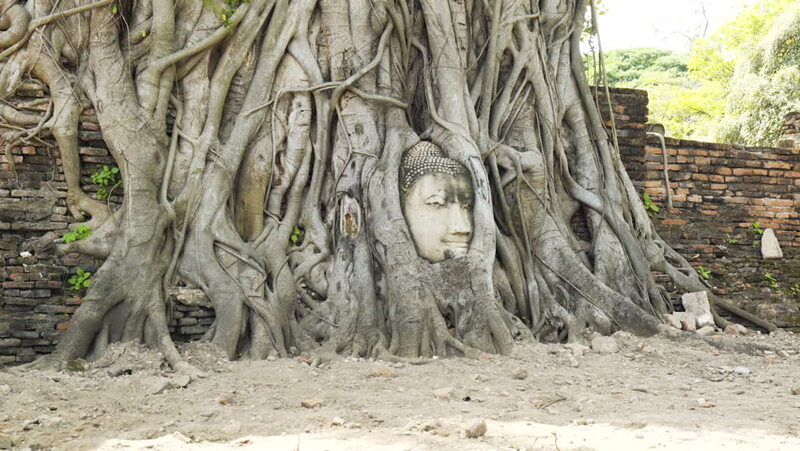 hd00:16Head of Sandstone Buddha in The Tree Roots at Wat Mahathat, Ayutthaya, Thailand, Dolly Shot. 4k00:18CLOSE UP: Long roots of tropical tree grow over the fading stone entrance to an ancient Buddhist temple in Cambodia. Amazing view of a decaying building in Angkor Wat being overgrown by a large tree.